Thousands of Filipinos abroad recently flocked in Santa Clara, California to meet and greet “Walang Hanggan” stars Dawn Zulueta, Julia Montes, Melissa Ricks, Joem Bascon and Coco Martin in the “The One Kapamilya Go” event of The Filipino Channel. Like the kababayans abroad, TV viewers are also overflowing with excitement as ABS-CBN’s top-rating Primetime Bida drama series counts down to its last six weeks. Since it started airing in January 2012, the phenomenal TV drama quickly touched the hearts of TV viewers with the undying love story of three different generations: the love triangle among Virginia (Susan Roces), Margaret (Helen Gamboa), and John (Eddie Gutierrez); the reunited lovers Marco (Richard) and Emily (Dawn); and the challenged sweethearts Daniel (Coco) and Katerina (Julia). 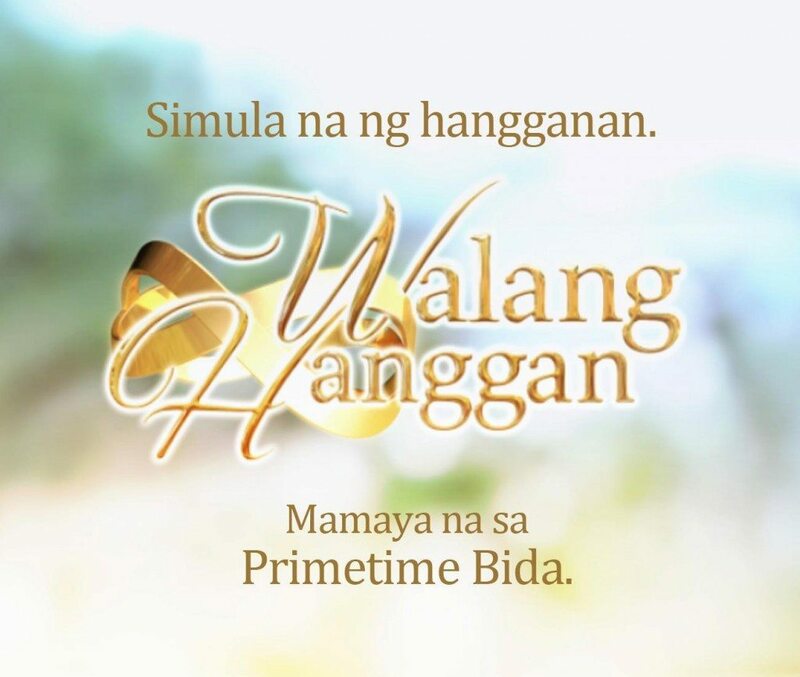 Aside from reigning in the nationwide TV ratings every night, “Walang Hanggan” extends its phenomenal success further in different media platforms—becoming top trending topics in social networking sites like Twitter and Facebook; reaching the platinum record status of its official soundtrack’s first and second volumes; and the best-selling licensed “Walang Hanggan Infinity Ring” sold by Karat World. Another addition to the unparalleled success of “Walang Hanggan” is its award-winning cast including Coco who was recently recognized as the Prince of Television by the Box Office Entertainment Awards, and Paulo who was awarded by the 2012 Gawad Urian as the Best Actor. Meanwhile, the plot of “Walang Hanggan” intensifies even more now that Miguel (Nonie Buencamino) has escaped from prison. How will Marco and Emily’s lives change when they find out Doña Margaret’s deepest darkest secret? Can they still prevent Miguel from doing his evil plans? After finding out that her marriage with Nathan is null and void, will Daniel and Katerina finally continue their once broken relationship? Don’t miss the last six weeks of “Walang Hanggan,” weeknights, after “Princess and I” on ABS-CBN’s Primetime Bida. For more updates, log-on to http://walanghanggan.abs-cbn.com/, ‘like’ http://facebook.com/abs.walanghanggan, or follow @walanghanggan_ on Twitter. hay sa wakas ending narin pero somehow ayaw ko pa mag end pero wla talaga tayo magagawa. Sana happy ending!